Today I’m sharing a free printable Year in Review for kids. This is a great memento to keep in their keepsake box to look back on in years to come. I love the forms that my kids used to bring home on Mother’s Day and Father’s Day in preschool that would have them fill in details about themselves and their parents. I thought it would be fun to continue this tradition with all of my kids each year. 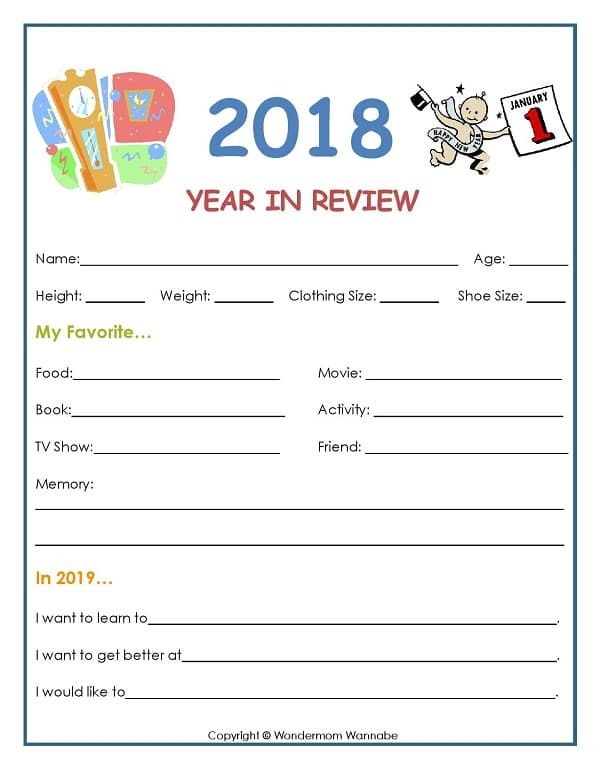 I created this printable year in review sheet for them to fill out at the end of each year so we can look back on our favorite memories from the past year and make plans for the coming year. As they get older, it’s fun to pull them all out and see how the kids interests changed over the years and also see how quickly they grew. I’m sharing the printable in hopes that it will help others enjoy this tradition as well. By design, the printable year in review is easy to use. Just print it off and give it to your child to fill out (or interview him or her while you fill it out). But there are a lot of ways to make this simple tradition more fun and more memorable. Here are some ideas to inspire you. Rather than having each child fill in the form on their own, let your kids interview each other. They love playing reporter! Likewise, you can interview your child and make him or her feel like a celebrity. Maybe even snap a few pictures! Glue the printable year in review to a piece of construction paper or poster board. Then, let your child decorate the “frame” with drawings, photographs, clippings from magazines, stickers, etc. Add the completed year in review sheet to a scrapbook with photographs from the past year. 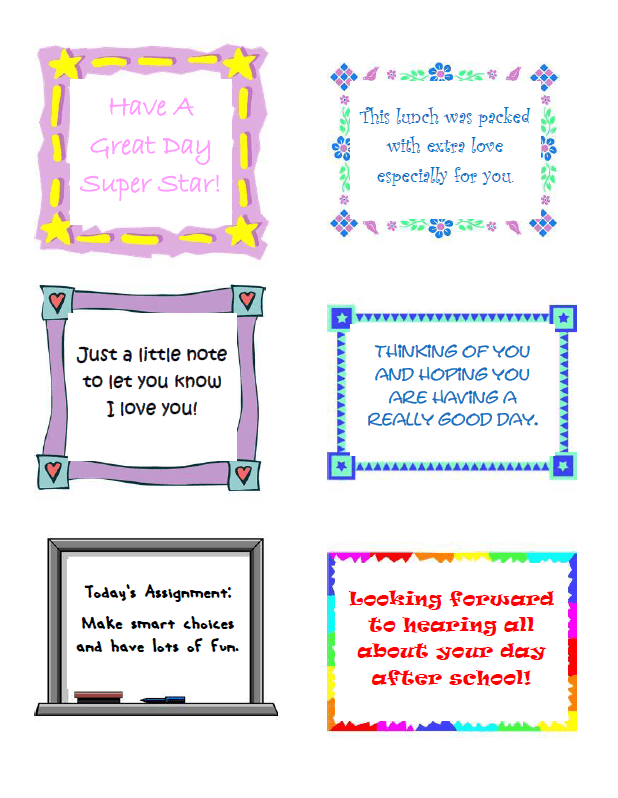 If you love printables as much as I do, visit my Free Family Printables page. 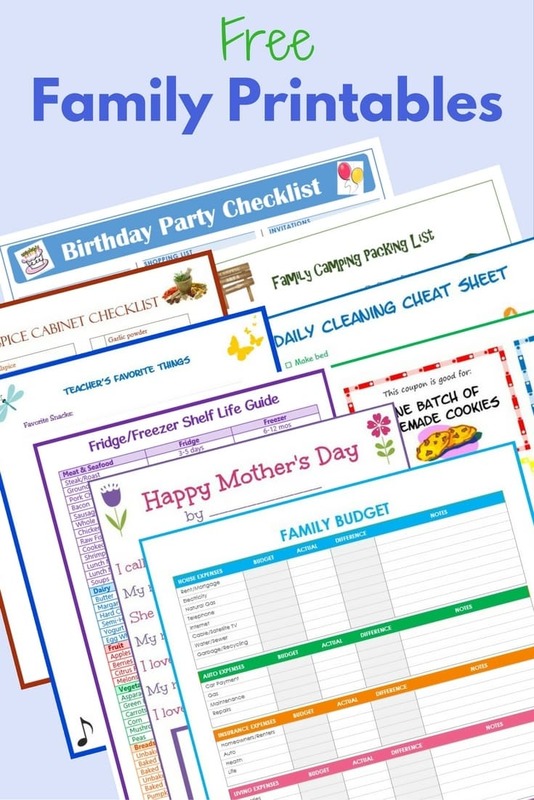 You’ll find more printables like the one above for every aspect of family life. This would be great to do every year and see the changes in interests AND handwriting! This is such an awesome idea. My little one isn’t old enough as yet. That’s a great Printable!!! I’ll print this for my niece.. She would love it.. Happy new year !!! What a great idea to keep up with memories throughout the years! I’ll have to print this out for my kids! This is a great printable. I’m going to do with it with my kids and hope it inspires some positive changes this year! This is a fantastic printable. I know it would be a lot of fun looking back and seeing what everyone loved in the previous year and wanted to do in the new year!